Ferriss rose to prominence when he wrote The 4-Hour Workweek, the bestselling guide to drastically increasing your productivity output and getting more done in less time. Since then, he’s applied many of those same strategies to become a hugely successful angel investor with positions in disruptive startups like Uber, Facebook, Evernote, and several others. Process and discipline. Too many people invest emotionally—they let new fads, convincing pitches, and their egos dictate decision-making. That’s no different from gambling. Successful investors, on the other hand, craft a strategy tailored to their personal goals, areas of expertise, and tolerance for risk. Then, they stick to it. So, rather than try to spot the next unicorn startup, use this proven investing checklist to consistently make smart investments again and again. There are tons of resources out there to learn about investing generally. Reading Warren Buffett’s Berkshire Hathaway shareholder letters, Sebastian Mallaby’s More Money than God, and Jim Paul’s What I Learned Losing a Million Dollars would show you a wide spectrum of investing strategies and teach you about the cognitive biases that lead to heavy losses. Beyond that, you also need to bone up on any new area you want to invest in. For instance, if you wanted to invest in tech startups like Ferriss does, you should read Brad Feld and Jason Mendelson’s book Venture Deals to learn how startup financing works, or Fred Brooks’ Mythical Man-Month to learn about how software projects get done. Regardless of what you actually read, the key to success in research is that you actively cultivate knowledge rather than passively consume information as you see it. Define the areas you need to learn more about, and then seek out the best content to make it happen. An information advantage means you know more than the competition about what you’re investing in. 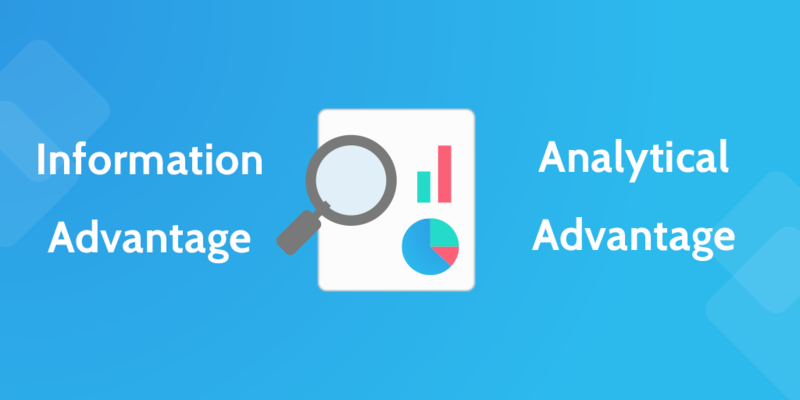 An analytical advantage means you can extract better insights from information than the competition can. You should only make investments when you have some kind of information advantage. Unless you have all day to comb over complex financial data and endless algorithms, you’ll never have an analytical advantage over finance pros in something as broad as, say, the stock market. You’re simply outmatched. You need to limit your investments to the areas you’re an expert in. That’s why Ferriss invests in consumer-facing tech startups. He knows the space inside and out and has a ton of valuable connections. Plus, the overlapping markets for his portfolio companies mean he gets better with each investment. For instance, lots of Twitter users probably also use Evernote, so Ferriss can use his learnings from Twitter to help Evernote target new users. He becomes a more valuable advisor the more he invests in the consumer tech space. Risk tolerance comes down to one question: How much money are you willing to lose? Most people’s risk tolerance is actually much lower than they think it is. According to financial advisors, most clients say they’re okay with a 20% portfolio loss in one quarter before they invest. In practice, most of them panic and begin to sell after a 5% loss. Ferriss says that you need to look at your investing checklist as a way to improve your quality of life, so a boom-or-bust investment that could produce a 10x return isn’t worth it if it keeps you up worried every night. This is where an information advantage becomes really valuable. Invest in companies that you can help achieve better results by lending your own expertise. For example, Ferriss invests mostly in consumer startups targeting tech-savvy men between 25 and 40. He’s part of that exact demographic, knows it extremely well, and actively targets it by hyping up his portfolio companies on his blog and podcast. 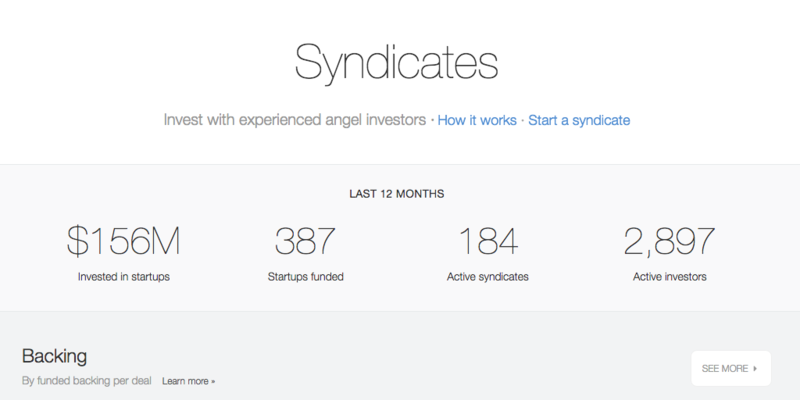 On his AngelList profile, he also promises any company he invests in that he can help them improve conversions and create hype for a huge launch. Ferriss is the ideal customer for every startup he invests in. That, combined with his experience, clout, and marketing savvy makes him an invaluable resource for his portfolio companies. How long are you going to hold this investment? The answer has massive implications for your overall strategy. If you’re a day trader, you’re not holding onto any stocks for longer than a few hours. If you’re investing for retirement, that number could jump to 30+ years. Ferriss has found that his startup investments tend to be seven to ten-year commitments. Too many investing novices think their work is done once they’ve bought a great investment. But that’s only half the battle. You don’t make any money until you sell. Any time you invest, you need to know when you’ll buy more and when you’ll sell. That’s largely based on your timeline. 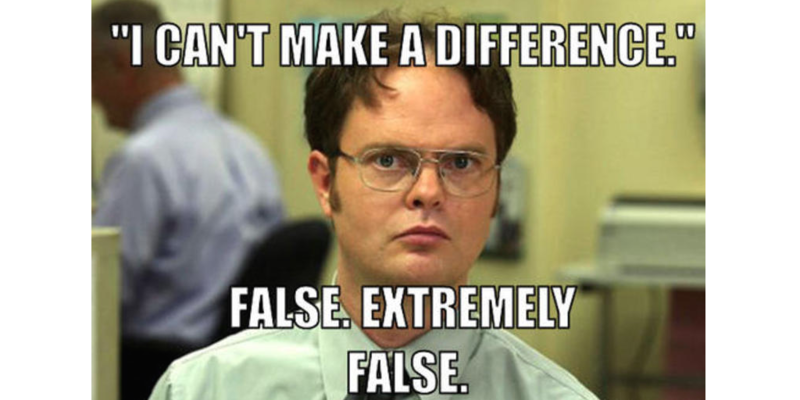 For instance, day traders only hold stocks for a few hours and sell any time there’s a significant price change. But if you’re investing in stocks long-term, you actually want prices to fall in the beginning so you can buy more at a better price, hoping that prices will rise over the course of, say, 30 years. This is a unique investing checklist because the startup world is different. Once you invest, nine times out of ten, you’re locked in and can’t sell. You can only “buy in” more during future funding rounds. But you can still come up with rules for whether you’ll invest more based on the company’s performance, growth, and venture capital deal terms. Now that you’ve set up a strategy, you need a low-stakes way to test how successful it is and whether you’re even able to stick to it. Ferriss suggests you try “paper trading,” which is simply virtual investing without real money. Set up a hypothetical portfolio and follow your buying and selling rules for two years (that would be your timeline in this case). Make sure to note times you would’ve broken your rules and bought or sold early had you been using real money. You can also apply paper trading to startup investing by going to AngelList and putting some of your virtual money into promising startups raising money. Wait two years, and see what your returns would have been. Two years might sound like a long time to practice, but investing is a lifelong undertaking—there’s no rush. Whether you’ve just finished your dry run or you’ve been investing real money for decades, you always need to be looking at your results and asking yourself how to improve. Are you getting solid returns? If not, you should consider choosing a different timeline or even reevaluate your information advantage. You also need to make sure you’ve got your risk tolerance right. Do you frequently want to break your rules for buying and selling? Are you constantly looking at your stock prices and agonizing over whether to sell? Ferriss says that could mean you’re better off angel investing. It’s still high-risk, but since you generally can’t sell off startup stock whenever you want, there’s less day-to-day stress. Beyond that, are you devoting too much time to investing? Ferriss himself decided he was, so he announced a sabbatical from angel investing in late 2015 to focus on his own creative projects. Again, it comes back to his philosophy that investing is really just allocating resources to improve overall quality of life. If investing is holding you back from other life-enriching pursuits, it’s time to pull back. Want this as an executable investing checklist? Following this investing checklist might not make you a multi-millionaire, but they’ll lead you to a solid investing strategy you won’t lose sleep over. 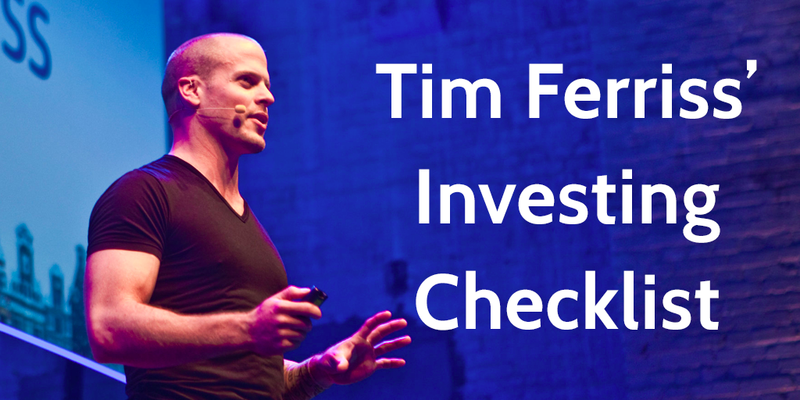 We have added Tim Ferriss’ pre-investing checklist to our examples inside Process Street. If you want access to this and the other templates in our examples library (plus the ability to make your own) sign up for a free account at http://process.st. We’d love to hear if you have your own investing checklist in the comments. Who knows? You may even get featured in an upcoming article! Hey Vinay, I’ve always been a big fan of Tim Ferriss. I’m trying to locate the checklist mentioned at theend of your article, but cant seem to find it anywhere. The link takes me to Warren Buffets checklist but there’s no ref to TIm’s ideas.